Designed to excel at running a wide range of applications and virtualization environments for both mid-size and large enterprises. The new standard for Server performance has arrived—Connoi® Designed to excel at running a wide range of applications and virtualization environments for both mid-size and large enterprises, the Connoi® rack Server is a general purpose platform with highly expandable memory (up to 1024GB) and impressive I/O capabilities to match. 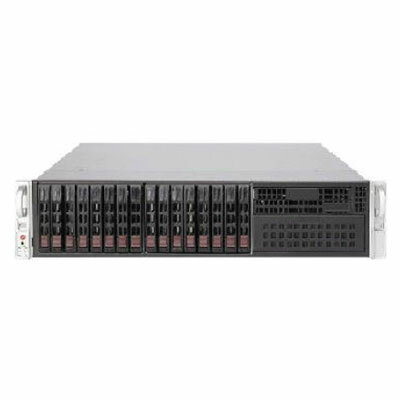 The Connoi® family of servers is engineered with the right combination of features and performance scalability to handle tough workloads for both large and small data center environments. The Connoi® Server gives IT Administrators the advantage of very powerful hardware at a very attractive price. Connoi® Servers are purpose built for operations in datacenter environments where performance and reliability are critical. Connoi® Server are built with the highest level of enterprise grade products that ensure robustness, efficiency, reliability & performance. All Connoi® Servers are energy-efficient and comply with the 80-Plus standards for energy efficiency. Compliance at such high standards make our devices more robust and reliable. USB 7 x USB Ports , Embedded USB (eUSB) Solid State Drive option Available.